Why does it seem that everything is better in mini size? I like it because when I am watching what I eat, I can have one for about 100 calories. But then 1 turns into 2 and then 3….. Ugh diet ruined! But I love peach cobbler. And these were sooooo delicious and easy! The middle tasted like it had a peach glaze and the top crust was perfect. I had all of the ingredients on hand and made them in about 10 minutes. I served them to my hubby and his friends with a scoop of ice cream on top and they gobbled them down for an afternoon dessert! ALYSSA, I FOLLOWED YOU BACK!! I THINK FATE HAD A HAND IN THIS TODAY, I AM ON DAY 2 OF NOT SMOKING, I HAVE BEEN SMOKING SINCE I WAS 11 WHICH MAKES IT 35 YEARS…I GUESS THAT THIS HAS NOT BEEN MY BEST DAY, MY MOM AND MY KID ARE TIP TOEING TONIGHT. THESE ARE THE TWO PEOPLE I LOVE MOST IN THE WORLD. I FIND YOUR COMMENT, ANSWER YOU THEN HERE I AM AND WHAT DO I SEE???? 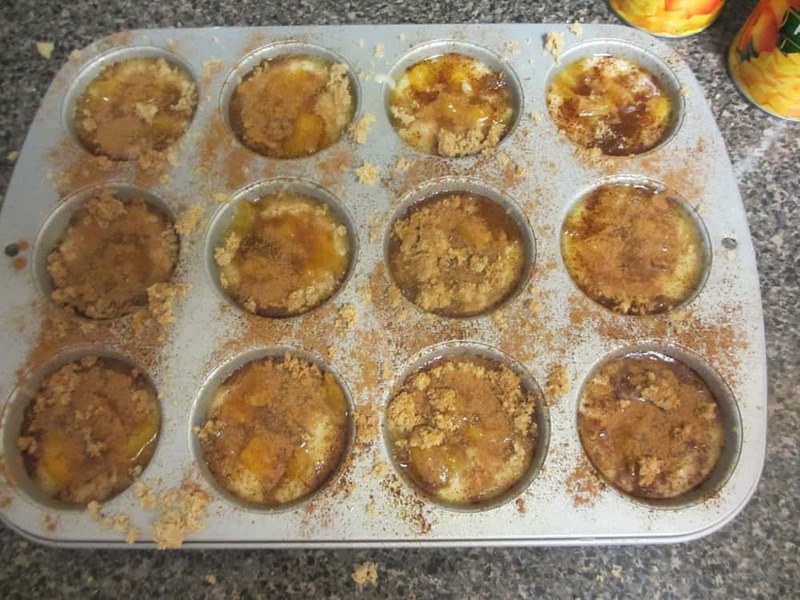 TINY PEACH COBBLERS…I AM HEARING ANGELS SINGING!! THE BEST I’M SORRY I AM EVIL FOOD FOR THE TWO OF THEM EVER!! THANK YOU!! i just came across your adorable blog! 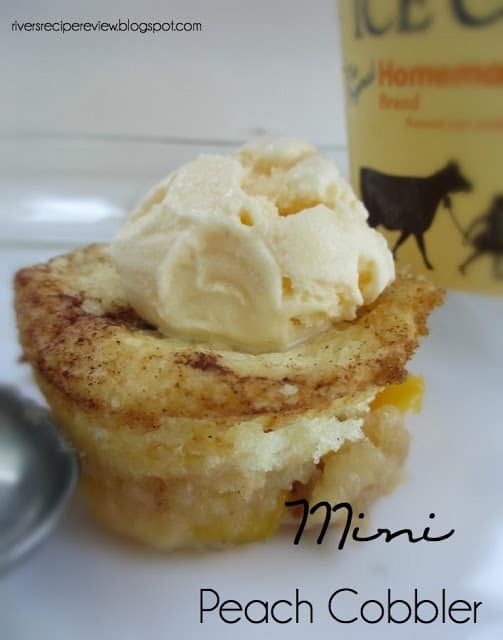 i’m now following you and i would love if you checked out my blog and followed back 🙂 i love this recipe for two reasons: 1) they are mini which makes them adorable looking and perfect for a party and 2) it is easy…i love fast and easy recipes! Yummy! Thank you so much for stopping by and linking up at Farmers Market Friday. Be sure to grab the button and spread the word! Great idea to do mini’s. Looks so good! Thanks so much for linking up at Mealtime Monday! Can’t wait to see what you like up tomorrow night! These look amazing! They are the perfect single serving size. Thanks so much for linking up to Creative Thursday last week. I can’t wait to see what you link up next. Have a great week. You’re being featured today 🙂 Stop by and check it out. 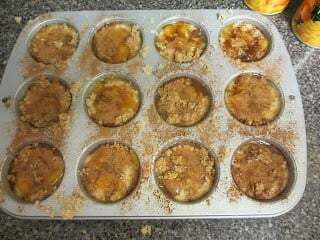 First time bakers — use second muffin tin as there is enough batter for 18-22 muffin tins. 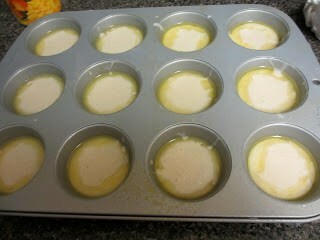 And don’t overfill though it appears in the photo the tins are nearly full before baking. Taste was yummy! 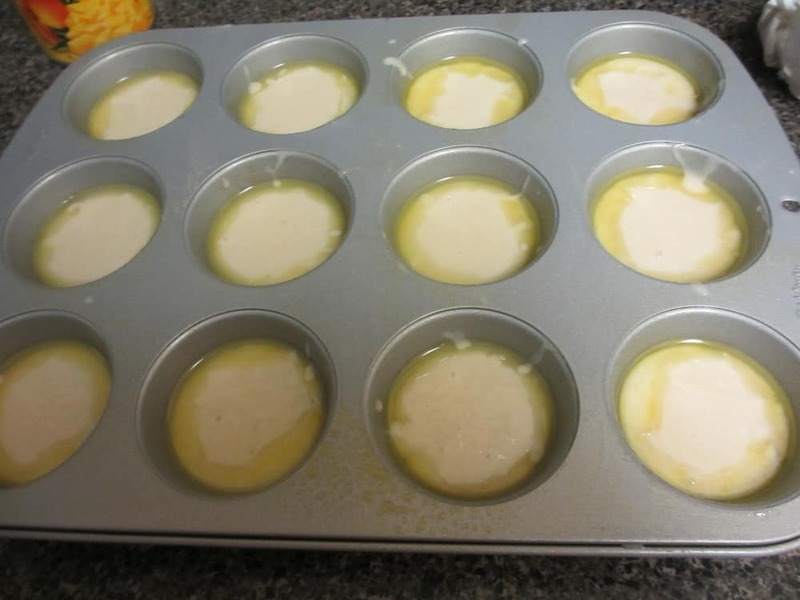 First time bakers – recipe makes enough batter for 18-22 muffins so use second muffin tin and don’t overfill though it looks like the tins are full. Go easy on the brown sugar unless you like really sweet. Turned out yummy. I am wanting to make something to share with a class of mine…this looks amazing! I’m wondering if anyone has made it using paper cupcake holders??? This would seriously help in the ease of transportation and less mess with eating…but don’t want to ruin a batch trying it with them if it wont work. I’m also wondering if using the paper liners would change the baking time at all??? 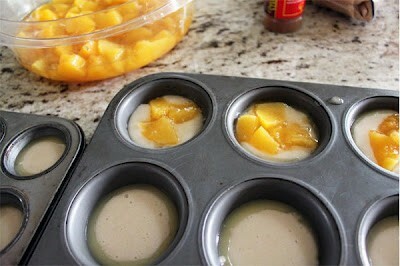 I want to make these!!! Only 1 question: do I need to put 1 tsp melted butter in each tin or can I use non stick cooking pray instead? how many does this make? or did I miss that? I baked mine twice as long, closer to 25 minutes, as I used paper liners. No but I have been wanting to make them! They sound yummy! I just made these tonight and they are absolutely heavenly! 1. Can never get enough of it! If you haven’t made it yet, you really need to 🙂 Thanks for the good recipe, Alyssa. I made these last night as a trial run for a wedding reception. I used paper cupcake liners. I mixed the butter with the batter though. 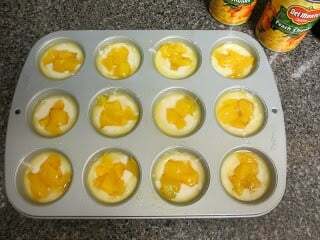 Unfortunately, my peaches sunk to the bottom. Not sure why and I guess if I hadn’t used the paper liners it would have worked ok but, since it’s for a reception that won’t work for me. So, I’m going to do another trial run tonight and bake them almost complete and then add the peaches and the brown sugar and then complete cooking them. Well 15 minutes worked for mine. Now just have to wait ’till they cool down a bit. In the end, I baked the cobblers in the cupcake liners, removed the liners when cool and placed them in the little mason jars for transporting and serving. It was the cleanest look and allowed people to see the details of the cobblers inside. I served it with mini Blue Bell homemade vanilla ice cream containers on the side. My friends (as well as my husband & 5-year-old daughter) LOVED this dessert! I usually insist on vanilla ice cream when I eat cobbler, but this didn’t even need it. It didn’t have the bitter aftertaste that many cobblers seem to have (not sure if that’s from baking powder or shortening or what???). I am a very tough critic, and I loved this dessert and will definitely make it again. Thank you!! Started making these only to realize someone had eaten my canned peaches, with everything else already ready I diced up a red apple and used that instead. I had to cook longer, the top just didn’t look or feel done but they were so delicious! I have made these twice and my cook time has doubled. At your 12 minutes they are still very wet and uncooked. But when finished at 22 minutes they are very Yummy!! Excellent! After trying many recipes, I think this is my favorite.